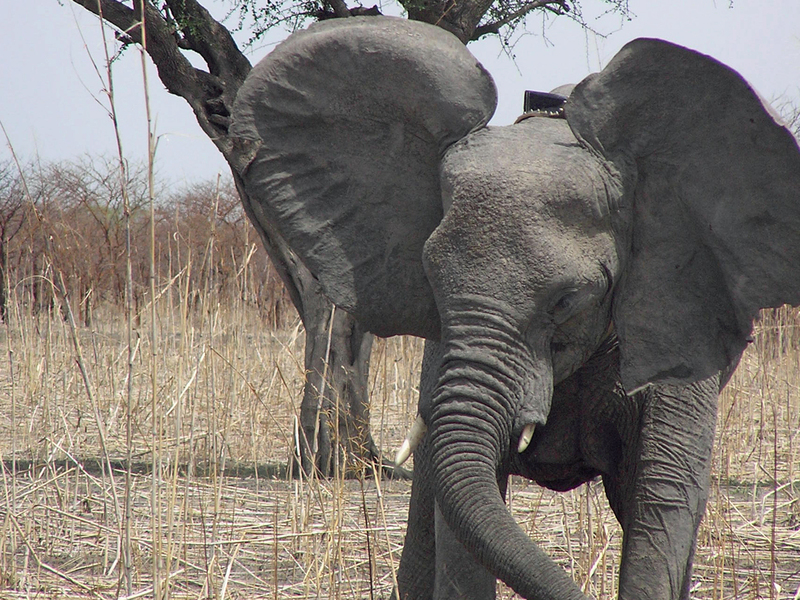 Researchers based at the North Carolina Zoological Park place satellite tracking collars on African Elephants in various areas of Cameroon and Nigeria. Usually, the researchers try to place a collar on a herd’s matriarch; that is, the lead female of a herd. Since the herd follows the matriarch wherever she goes, the researchers can keep an eye on an entire herd by collaring just one animal. As the matriarch moves around inside the herd’s habitat, location data—primarily latitude and longitude—is gathered from the collar and sent via satellite to North Carolina. From these data, researchers can then monitor the animals’ movements over a span of many months and, in doing so, accomplish several conservation goals like those discussed below. Use those analyses to develop plans to meet various conservation goals. What are the conservation goals? All research projects must have goals, and research projects focused on protecting animals often have conservation goals. There are three major conservation goals for this research project. The first is to understand each herd’s homerange. A homerange is a well-defined area within which a group of animals travels to find food, water, shelter, safety and other important things it needs. Elephant herds require huge amounts of land for a homerange, and homeranges may shrink or grow at different times of the year. Knowing the size, shape and location of a herd’s homerange is a very important first step toward the goal of protecting that herd. Second, data from satellite collars can help researchers understand the locations of hot spots. Hot spots are very specific places where animals tend to congregate, often for long periods of time. Example of elephant hot spots include waterholes, mineral licks and, sometimes, agricultural fields. Hot spots are often places where elephants can find the things they need most, like food or water. Unfortunately, they are also places where they can be most vulnerable to poachers. Finally, researchers monitoring elephant movements can often identify movement corridors, sometimes referred to simply as corridors. These corridors are somewhat like highways between protected areas in a herd’s homerange. For example, say that a herd is observed moving between two national parks. The area that it travels through to get from one park to the other is referred to as the “corridor.” Once they know the locations of those corridors, researchers can work to make sure that they are protected so as to ensure that the herd can always move safely within its homerange. Reduce poaching and other illegal killing of elephants. 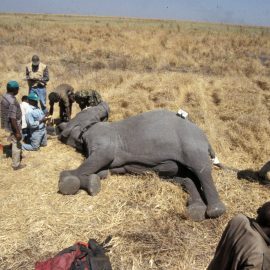 What have researchers done about human/elephant conflict (HEC)? By using satellite collars to track elephant movements, researchers have learned that elephant homeranges and movements are affected by natural features like rivers and waterholes, and by non-natural features like roads, buildings and farm fields. They have learned that water resources, especially big rivers and waterholes, are very important influences on elephant movements. Also important to elephant homeranges are the locations of villages and towns, especially when those villages and towns are close to protected areas, like national parks, or are close to water sources. Understanding HEC in an area can help researchers figure out ways to protect people and elephants in that area. 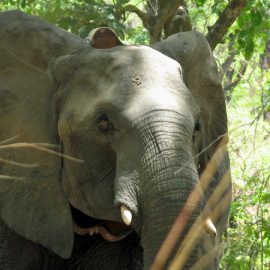 For example, an elephant movement study in Cameroon that started in the late 1990s and ran until 2006 led to the development of ideas to keep elephants away from agricultural fields. In those twelve years, deaths and injuries to human beings dropped from ten to zero; elephant deaths dropped from twenty to one; and property damage dropped from $200,000 to $80,000. It is important to remember that good research always results in positive changes to the way things are done—in this case, elephant movement research had very obvious good impacts on humans and on elephants. What have researchers done about elephant habitat corridors? In a perfect world, elephant herds (and all other groups of animals) would have huge open spaces available to them for habitat. Of course, that’s not true in today’s world; animals must compete with each other, and with human beings, for space and resources. That competition often means that animal habitat becomes fragmented. Instead of one big open spot, in other words, an elephant herd’s homerange is often made up of several smaller habitat areas; in-between those areas are places that may not suitable for habitat, such as areas devoted to logging, mining, hunting, towns or agricultural fields. Also between those areas are corridors of relatively undeveloped land that allow the elephants to safely move around their homerange. The conservation goal for researchers, then is to know where those corridors are, and then to suggest ways to protect those corridors, even in places where there is also a lot of logging or mining or agriculture. 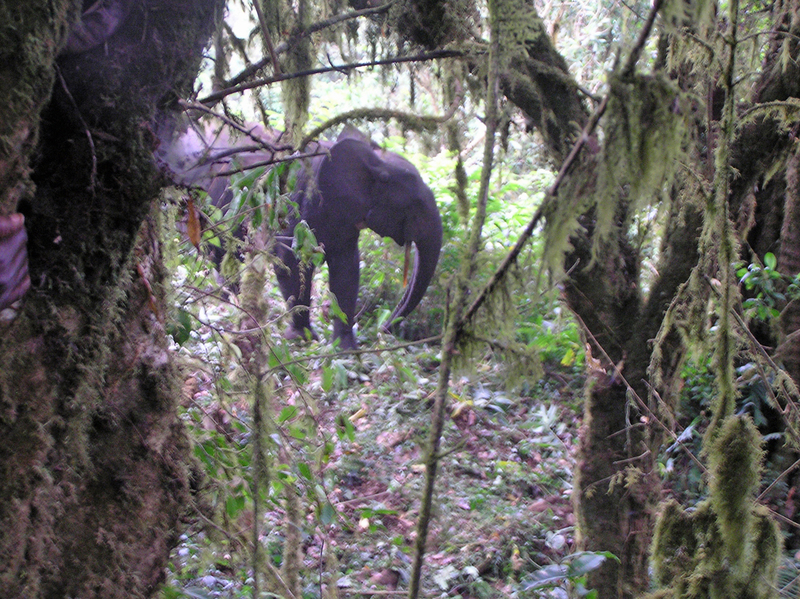 For example, researchers identified corridors in southeast Cameroon that elephants used to exit Lobeke National Park and move into adjacent logging areas. By doing so, researchers were able to work with other conservationists and with the logging companies to write agreements that will protect those corridors. What have researchers done about poaching? The more researchers know about an elephant herd’s movement patterns, the more they can do to limit poaching and other illegal killing. Elephant location data can be used to identify areas to concentrate anti-poaching patrols, including multi-nation projects on national borders. There has been a lot of recent success in this area. 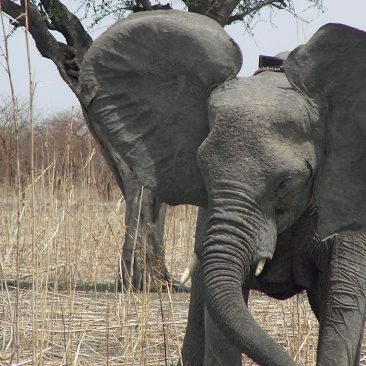 In a two-year period, for example, 143 poaching camps were found and destroyed in Cameroon’s Lobeke and Nki national parks, partly as a result of knowing the locations of elephant hot spots and corridors from collared elephants. 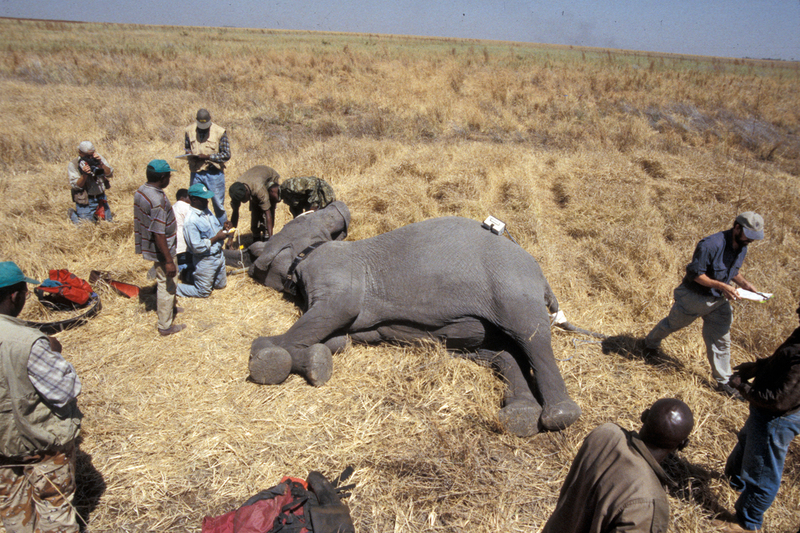 What else can researchers do with elephant tracking data? Many other good results can come from elephant research. The formation of Mt Cameroon National Park in western Cameroon came about in part because of research done on elephant herds in that area. 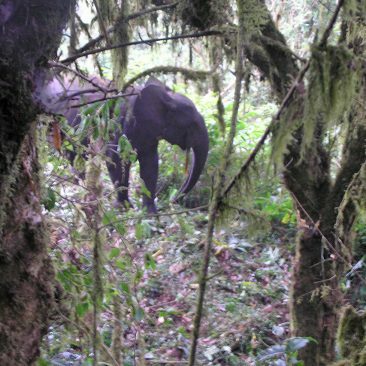 Due to several concerns about Mt Cameroon’s elephant populations—including widespread poaching and loss of habitat—Cameroon’s government designated a national park for the area that provided safe haven for elephants and economic opportunities for nearby villages. As noted above, corridors are extremely important for elephants passing between protected areas. Those corridors also serve as travel paths for many other species, and reduce conflicts between humans and animals of all kinds. Download the Collared Elephant Table for information on all elephants collared as part of the North Carolina Zoological Park’s African Elephant research program.